Andres Manuel Lopez Obrador appears very likely to be Mexico's next president - and he has a track record of being anti-free trade. The Mexican and U.S. governments are now conceding that the real timeline for ending NAFTA talks is April. After that point, the Mexican election will make it impossible. The whole dynamic of the NAFTA renegotiation effort — and the scramble by Canada and Mexico to save the accord from a truculent President Donald Trump — may be about to change. 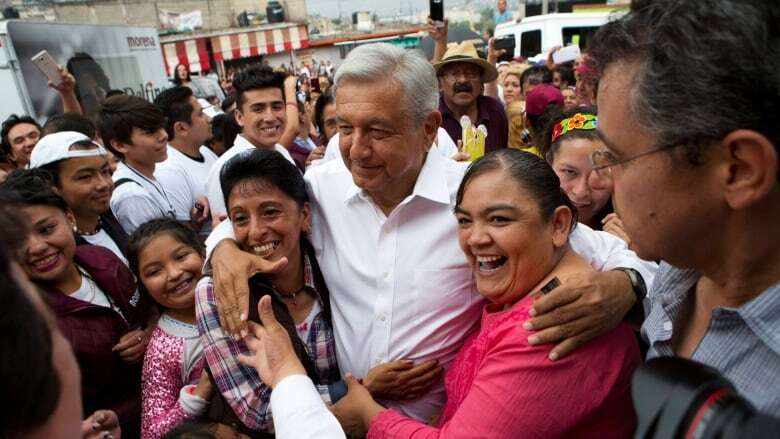 Andres Manuel Lopez Obrador​ — or AMLO, as the presidential candidate is known to most Mexicans — is leading in the polls by as much as 14 per cent over his nearest competitor. The campaign begins officially on March 30, with polling day set for July 1. AMLO's platform calls for the suspension of NAFTA talks until a new Mexican president is elected, warning that a "weak" President Enrique Peña Nieto risks "selling" out the country under U.S. pressure. It's unclear at this point what position AMLO himself would take in those talks if he wins. But it's fair to say that Mexico's free traders would be much happier with either the ruling PRI party candidate — Jose Antonio Meade — or Ricardo Anaya, running for a coalition of Mexico's traditional centre-right (PAN) and left-wing (PRD) parties under the banner "Por Mexico al Frente" ("Forward for Mexico"). An AMLO win also could pose a major problem for a Canadian government that says it wants to work with Mexico to achieve a "win-win-win" in the NAFTA talks. 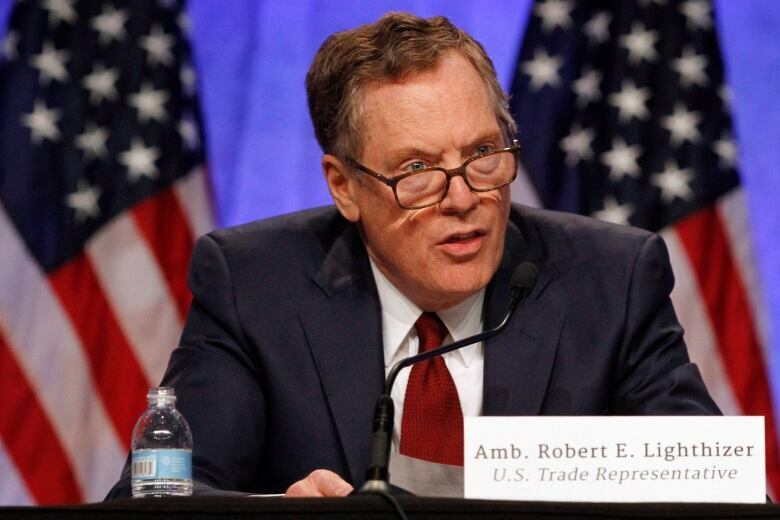 U.S. Trade Representative Robert Lighthizer, citing last week the upcoming Mexican election, said that NAFTA talks now have a practical time limit of four to six weeks, which includes the time needed for consultation and ratification. 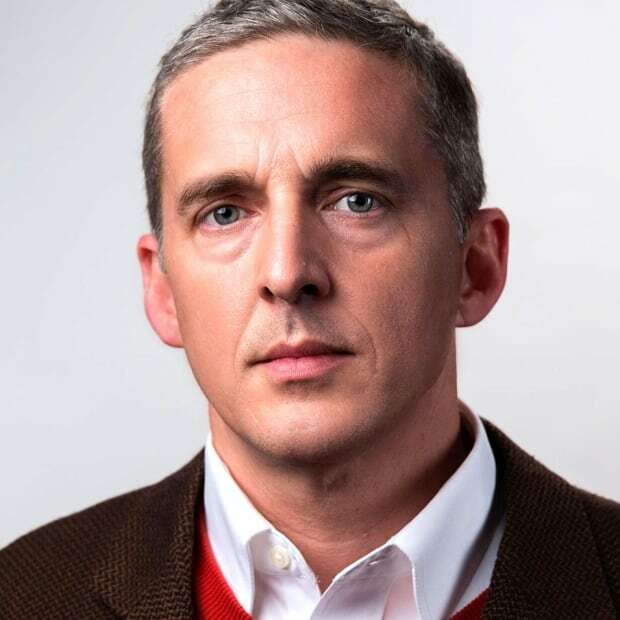 "I fear that the longer we proceed, the more political headwinds we will face," he said. Mexico's Minister of Economy Ildefonso Guajardo appeared to confirm Thursday that the AMLO effect is already making it difficult for Mexico to continue the NAFTA talks. "You either get it (agreement on a new NAFTA) by April, or then it doesn't matter," he told a panel discussion in Sao Paolo, Brazil. "You may as well go to the end of the year." Barring major errors or unexpected revelations, AMLO is on track to win the presidency, said Marco Antonio Fernandez, a professor at the School of Government of Tecnologico de Monterrey. "The conditions that point that way include more than 80 per cent of the electorate telling pollsters they want a change, and support for the incumbent Enrique Peña Nieto at less than 20 per cent," he said. AMLO has been a fixture of the Mexican political scene for years, placing second in the last two elections. His refusal to accept the official results of the 2006 election, won by Felipe Calderon, led to protests that paralyzed downtown Mexico City. Wearing a presidential sash of office, AMLO had himself sworn in as the "legitimate president of Mexico." He continued to question the legitimacy of the Calderon presidency until the next election in 2012, which he lost to Peña Nieto. Again, AMLO alleged fraud and vote-buying by the ruling PRI party — although on that occasion he didn't seek to overturn the results on the streets. On March 9, AMLO tried to reassure a conference of Mexican bankers, telling them that they needn't fear a revolution if he is elected. "We won't confiscate property," he told them. "There won't be any expropriations or nationalizations. We're going to move the country forward, confronting its principal problem — the cancer of corruption." But AMLO appeared to drift away from his reassuring talking points when asked whether he would accept defeat at the polls. He promised he would return to his southern hometown of Palenque if he loses the popular vote. But he warned that "if they dare to try an electoral fraud, I'll go to Palenque, but we'll see who can tie up the tiger" — a comment widely interpreted as a warning that his supporters would take action on the streets. "Whoever unleashes the tiger has to be the one to tie it up again. I'm not going to try to restrain people if there's an electoral fraud." AMLO began his political career as a protectionist, positioning himself as the voice of Mexico's small farmers. When Mexico joined NAFTA in 1993, a few million Mexican families were living off sales of tortillas made from corn grown in small plots. To protect them, Mexico negotiated a 15-year NAFTA exemption for corn and beans. During the 2006 election, many rural Mexicans feared a flood of subsidized corn from the U.S. Midwest would kill that local model of production (which is indeed what happened after 2008). AMLO promised to reopen NAFTA and maintain Mexico's barriers on corn and beans. "These screwball technocrats," he said in one speech. "Only to them would it occur to throw the border open like this." AMLO has continued to call for protection for Mexican corn, while promising avocado farmers in Michoacan that he'll fight against agricultural tariffs in NAFTA. But his 50-point election platform doesn't even mention NAFTA. And so far, he has refused to debate his opponents. Fernandez said that the best word to describe AMLO's position on free trade is "jabonoso" — slippery. "You don't hear a frankly anti-trade discourse. Unlike Trump, for example, Lopez Obrador did not come out clearly against the (Trans-Pacific Partnership)." Fernandez said AMLO maintained that uncommitted posture despite the TPP anxiety abroad in powerful Mexican constituencies such as the shoemakers of Leon and the dairy industry of Coahuila, who fear cheap competition from Vietnam and New Zealand, respectively. "But what you do see with AMLO are mixed signals pushing ideas that are not compatible with NAFTA and free trade — like ... the idea that Mexico must become self-sufficient in food production," he said. He also has railed against the country's energy reforms, pledging that he would seek a meeting with the sitting president the day after winning the election to demand a halt to privatizations and public auctions of offshore oil licenses. His general attitude toward any U.S. administration probably would be more combative than that of his rivals. One of AMLO's favorite slogans is, "no more puppets, no more stooges." He also has vowed to put Donald Trump "in his place." The Mexican government finds itself in a two-way squeeze. Any concessions it gives Trump to save NAFTA only undermine its chances of saving itself in the election. Some members of Mexico's ruling party say that, by browbeating Peña Nieto, the Trump administration has fuelled AMLO's rise. And since he has no role in the negotiations, AMLO's free to snipe from the sidelines. "Reason does not prevail when you're looking for someone to pay the cost," PRI lawmaker Enrique Jackson said recently. "And so it's the government that pays the cost. And the government is the PRI." Fernandez said nervousness about AMLO will grow if it becomes clear that a final NAFTA deal isn't coming before the election. "There would be not only a new president, but also a totally new Senate that would have to ratify the agreement. It's very likely they would want to go back and re-open chapters that are now considered to be closed."